Battlefield 3 recently released their Back to Karkand expansion pack which brought four new Battlefield 2-inspired maps and a bug-fixing patch. I've had some time to play a couple dozen games and here are my thoughts on how the game has progressed. Anyone that has followed my blog or Twitter knows that I haven't exactly had the best experience with Battlefield 3. I went from being a good Bad Company 2 player to a terrible Battlefield 3 player and at first glance the games are not that different. Some analysis lead me to understand why I was not doing as well at Battlefield 3 as I had hoped and most of that revolved around what I felt was Battlefield 3's biggest problem: it was released too early. Fortunately, the patch and expansion seem to have put the game on the right path and I am finding myself enjoying the game much more. The best improvements revolve around the UI and while the patch doesn't fix all of the problems, it was a huge step in the right direction. The chat box can now be hidden and it has been moved to a much more acceptable placement on the screen. Squad management is simpler and squads are much easier to leave and join. They didn't up the total number of squads available which is annoying as it literally breaks 64 player servers leaving upwards of 32 players without a squad to join. The glowing neon text that Battlefield 3 uses hasn't gone away, but ironically enough they added a color blind mode which makes the UI elements (such as names and unit identifiers) contrast much better and I've moved to using as my default mode (and I'm not colorblind!). Many other players have also moved to colorblind mode which makes me wonder why DICE doesn't get the hint and do away with the horrible, horrible neon lines and text. Still needing improvement is the mini map, both during the game and during spawning. It is hard to determine where a certain spawn point is going to place the player and as discovered by some keen-eyed players, the mini maps are clearly not accurate reflections of the actual map. The mini maps seem to be from a previous map design, showing structures that were clearly removed or moved at some point. Other than the new maps, weapons, and vehicles that came with Back to Karkand there weren't any huge features added to the game. Assignments were added, which is like a quest system used to unlock the weapons of BtK. Kill X players with X weapon and do Y to earn Z weapon. They are a better system than having to level up specific kits to get new weapons, but some of the assignments just feature dumb objectives such as killing an enemy with the repair tool. Still missing from Battlefield 2 are in-game voice chat, commander mode, and the battle recorder. Three items that in my opinion are absolute requirements for Battlefield 3 to ever be considered a successor to Battlefield 2. Without them, Battlefield 3 will remain low on my list of best Battlefield games. Back to Karkand inadvertently fixed one of my other gripes with Battlefield 3: the maps! The Back to Karkand maps are far superior to the vanilla maps. After a couple rounds on Gulf of Oman and Back to Karkand I knew I would not likely go back to the vanilla maps anytime soon. The BtK maps look better, play better, and feature a lot more destruction. Everything that seems destructible is destructible and there are no more random paper thin walls that can't be destroyed. The capture points on Conquest are tighter making actual defense possible instead of watching your flag cap with no enemy in sight. The rush modes of the maps bring a refreshing twist to the classic Battlefield 2 maps. The vehicle spawns seem closer, allowing for more vehicle action. I could go on, but suffice to say, the Karkand maps are much better. The balance changes that came with the patch also were a step in the right direction. Weapons such as the SCAR-H and M240-B had their damage reduced which brought them in line with the rest of the weaponry in the game. RPGs were slightly nerfed on damage to infantry (but could still go a bit further). Mines are no longer infinite and limited to six per engineer. And most critically of all, the IRNV scope was dramatically reduced in effectiveness. It now only works in close ranges and blurs out at a distance. The IRNV is no longer the equivalent of a wall hack and no longer the defacto scope everyone uses. DICE also played with the way burst firing works. I'm not sure on the details, but I seem to have much better luck with burst firing with certain weapons. Some weapons still seem to have a first shot that goes randomly off target (and I mean WAY OFF target), but from reading the forums and on /r/battlefield3 it seems it may just be a bug with sprint or changing positions. Hopefully, it gets tightened up a bit. Either way though, I feel like I am far more accurate now when firing weapons. Overall I am pleased with the patch and Back to Karkand. I would be annoyed thinking I had to pay for BtK, but I bought the Limited Edition so got it for free. Its still unfortunate that we're waiting for more features to be patched into the game. Maybe in a year Battlefield 3 will be the successor to Battlefield 2 that we all wanted. 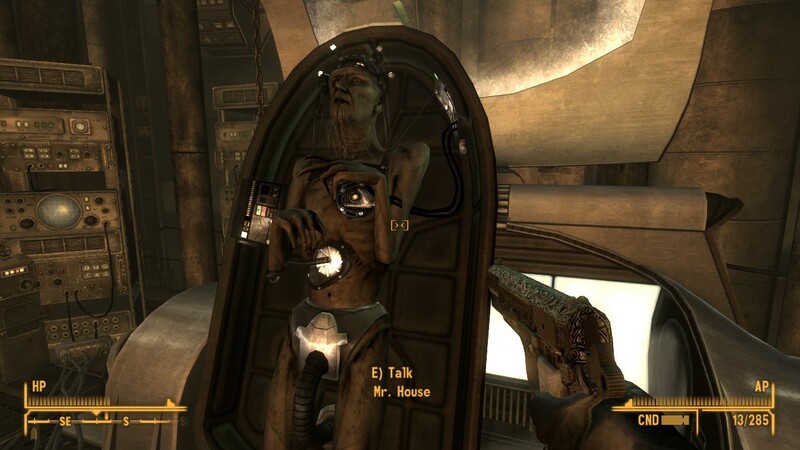 I’m ashamed to admit that Fallout: New Vegas is the first Fall Out game I’ve actually played (as in played). Sure there was the Fallout and Fallout 2 dabbling I did in high school back in the day, but I really wasn’t a PC gamer at that point. I passed on Fallout 3 because I don’t buy single player RPGs anymore until they are on a Steam sale (and Fallout 3 has yet to be on a really good Steam sale). 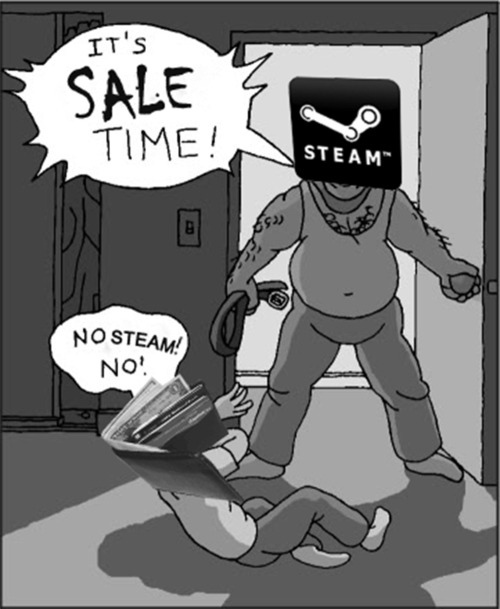 So when FO:NV went on sale for $4.99 I was going to pass assuming it required that I have Fallout 3. It wasn’t fathomable to me that a game’s sequel would be on a cheaper sale than the original. A friend spotted my stupidity and bought me FO:NV. Twenty-five hours later, I’m glad he did. I’m well behind the release of the game with this post, so I won’t bore anyone with the technical or graphical side of the game. The game works well and looks good. I finished FO:NV in a single week, a rarity for any game I purchase. What kept me coming back for more was the main storyline of the game, which is ironic considering the immense amount of side content available in the game. I really enjoyed the story and world. The various factions in game are interesting and the constant struggle between the sides is well done. It literally blew my mind when I realized all of these different sides were attempting to recruit me as the all-star for their side in the upcoming battle of Hoover Dam. I genuinely felt like each side had a valid offer. After this was taken, I accidentally shot him in the face. In the end I decided to go the route of helping Yes Man. Well to be honest, I accidentally shot Mr. House in the face when he was out of his life-enabling chamber which sort of ruled out following his path towards a Mr. House controlled New Vegas. Which by default made me the leader I guess? I wasn’t quite sure at the end if I was in control or whether Yes Man was. The massive army of robots under Yes Man’s control sort of tells me I wasn’t in charge. Either way, I’m pleased with my decisions. To note though, at one point I was heavily leaning towards supporting Caesar’s Legion. The free supplies every few days seemed like a nice bonus (except trying to remember where the stash was replenished). However, I must admit I’m not into the whole cannibalism and anti-technology thing they have going on. 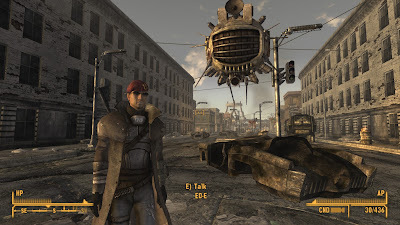 I didn’t side with the NCR because, well… I really liked their NCR Ranger Armor and ED-E wouldn’t stop getting into fights with them for some reason, so my NCR faction rating was shot. NCR soliders also make for great experience farming. However, it did make trips to the Strip a bit dodgy until I realized I could disguise myself as an NCR member. I finished at level 15, which is only half of the available thirty levels. I followed a guide that had me start with ten intelligence, which did result in a ton of extra skill points per level. Following the guide really helped towards my enjoyment of the game as I often met the minimum threshold for a lot of alternate paths and having Repair high early on helped me unlock the ED-E companion who is a huge boon to situational awareness in combat. My character focused on Guns, Lock-picking, Barter, Repair, and Sneak. My weapons of choice were the Assault Carbine and Hunting Rifle, replaced by the Marksman Carbine and Sniper Rifle eventually. My favorite perk to combine with these was the Bloody Mess which is self explanatory. Being a loot whore, I also kept choosing looting-specific perks such as the one that let me carry up to 250 weight and Jury Rigging which let me repair my massive stock pile of guns I had made outside Gun Runners (btw I’m amazed how this game can remember where I leave just about anything, even if that anything is 100+ different guns). Now that I finished the game I’ve been going back a little bit and leveling up some. I have an Anti-material Rifle now (.50 caliber sniper rifle). With the weapon handling perk and implants, I can wield it effectively now. I’ve also just started to dig into some of the side quests that are in the game. I was really into the main story line and did absolutely nothing on my first run through. I’m still clearing out the stuff from Primm and the other starting areas. 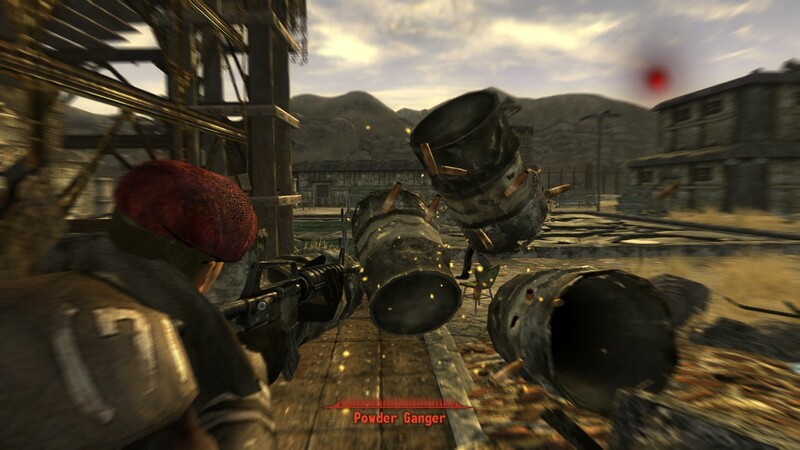 Oh and to note, I killed Boone because I wanted his hat. Don’t let anyone tell you otherwise. It was an otherwise unjustified killing in that giant dinosaur statue. Boone's Beret + Boone's Sunglasses + ED-E (robot) + NCR Ranger Armor = I'm a murderin' thief! Barrels, always getting in the way of my bullets. Brink had free weekend this past weekend on Steam, so I was able to put a few hours into the game. Brink is great for about two hours, but past that it’s a bore to play. Brink is the rare game that gets all the extraneous features spot on, but fails to inspire with its completely bland game play. 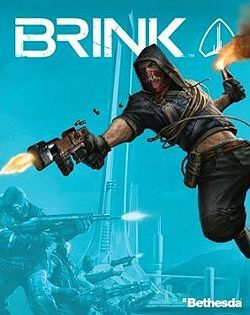 Brink, essentially, is on the Brink of being a good game. Most of the initial two hours is spent in the character creator and then in the tutorial-type challenges unlocking parts for your guns so players can then go back into the gun customizer to outfit some weapons. The customization, of everything about the character, is the impressive part of Brink. Even with the artistic approach to characters (long faces, exaggerated body types), I found an amazing amount of possibilities. On top of this, the weapons can be heavily customized both visually and functionally. The only roadblock is the fact that many of the customization options are locked behind level or challenge requirements. The challenges are easy enough and within an hour a novice player can have most of the basic gun unlocks and enough character appearance items to make them feel unique. Experience rolls in easily enough while playing and is rewarded for every possible action the player can take, so there is no need to be an FPS god to rack up the points. The online play is tough to describe. For a new player it is very confusing on what match type does what. A new player will look at a list of servers and game modes and be completely baffled as to whether they are getting into a co-op or team death match or team objective game. While Brink does a good job introducing the game modes in the challenge tutorials, it does not do a good job of explaining what match type a player is getting into. I started with the campaign game mode first. Initially, I thought I was the cat’s meow as I racked up the top spot on my team several matches in a row. However, my elation came to an end when I realized I was playing against bots in a campaign co-op match. I did a bit of Google research and figured out I needed to be playing the Objective game mode against real opponents. A few matches into Objective and I was brought back to earth, often failing to break out of the middle ranks. Players can score points from getting kills, assisting team mates, completing objectives, defending areas, and many more non-combat activities. However, there are no kill or death counts on the scoreboard. Players only see the total score of a player’s combined actions. This is something every other team-based shooter needs to take a lesson from. Team and class-based shooters are NOT about kill to death ratios, they are about the objectives, so it makes no sense to display kills and deaths on the scoreboard (I’m looking at you Battlefield 3!). The scoring system in Brink is one of the extraneous features that shines. The problems with Brink come into play when players start to realize that the gun play is sloppy. Weapons have very distinct ranges and guns with short ranges feature vanishing bullets making it very hard for a new player to understand why they aren’t able to hit an enemy with their gun, even if that enemy seems to be within their range. The range on weapons plays into the next aggravating feature of Brink: the SMART system. Brink was designed to be about movement and using movement to get an advantageous position on your enemy. The SMART system allows players to vault over obstacles, shimmy up walls, slide around corners, and for the most part live out their parkour fantasies. I found myself making incredible leaps to outflank opponents, but at some point I realized I was being killed more often than not while stuck in a pull-up or hurdling animation. The transitions just take too long to be useful in the middle of combat or the action the player’s avatar takes is not anywhere near what the player was expecting. Add this to the odd vanishing bullets with the limited gun ranges and new players quickly find themselves confused and dead. The SMART system plays into my next gripe: the maps. The SMART system makes the maps very difficult to learn as many routes are available. A player has to spend a good amount of time learning the nuances of what can and cannot be achieved via the SMART system. Many times a route looks perfectly viable, but the player finds themselves floundering like a fish out of water when they go to make the jump. The jump/move may or may not be doable. Sometimes I would watch a player make a cool SMART move over an obstacle only to follow and fail to clear it myself. The system seemed inconsistent and more damaging than anything. Also annoying about the maps are the glass walls. I can’t count the number of times I thought I was shooting someone only to find out there was a glass wall between us. Glass, in any game, should break when shot. Glass isn’t the only environmental problem. There are fences and openings around every corner that are invisible walls that bullets cannot pass through. After a few matches most players are probably confused. Their selection of guns don’t seem to hit what they are aimed at as aside from a loading screen tip, there is no explanation of how gun range works. The SMART system has shown them that there are alternate routes to take on the maps, but they have most likely failed several times trying to take advantage of them. And even when their weapon of choice does manage to hit an enemy it is difficult to tell how much damage needs to be done to kill them. Then there is the grenade spam which the player has probably gotten stuck in multiple times. Once acquainted with the game after about three hours of play I found myself not making many of the obvious newb mistakes, but I still felt like I was fighting the game trying to figure out the weapons and SMART system. It then dawned on me that it really doesn’t matter as I watched some of the top scoring players. It was better to just sit back and spam a class ability on team mates for points rather than to charge into objectives or to try and kill other players. Through brute force one side was eventually going to push into an area, completely negating the SMART system. At the end of the day, Brink is a very boring game to play. All of Brink’s best features are outside of the actual game itself. Character and weapon customization are among the best of any FPS I’ve ever played. The art style and visuals are awesome. Unfortunately the gun play and fact that the SMART system is a moot point makes Brink a “what if” contender. I wouldn’t recommend this game to anyone at this point. I was cruising. It was day 13 and I was already past 13,000 words keeping pace with my 1,000 words a day goal (note: NaNoWriMo officially encourages 1,400 words a day). And then it all stopped. I finished on day 14 with 13,835 words in the middle of what I feel was turning into a good story. The main problem I had was that the time I was allotting to write was during my breaks at work (an hour lunch + two 15 minute breaks). When work got a bit crazy I had to switch over to using up free time at home each night. With a family (especially the 2 year old) and games like League of Legends and Battlefield 3 to play, I just couldn't focus on writing at home. However, there were a couple other things that derailed me as well. I really screwed up the geography of my world building. The story is supposed to be taking place in the east, but I ended up calling the land mass the "western key". Then the nation of Alb I put in the east only to later realize it made more sense for Alb to be in the midlands. Which means I should of had the ruling Kingdom of the midlands in the east. The only group I placed correctly it seems was the foreigners from the islands of the west. At first this mix up didn't really bother me. NaNoWriMo is about getting words on paper which can be edited and fixed up later. Rewriting should be the second step to a story, not a part of the process of the first draft, so I pressed on with the bad geography in the idea that I'd clean it up in editing. However, I ran into some problems with what I wanted to do with the story. This forced me to think far too much about what I was writing each day and lead to the writers block that ended my NaNoWriMo attempt for 2011. When the initial writers block set in, I looked into working on just editing my 13,000+ words and getting the geography together. As I went through the text I started getting really good ideas and started adding in large sections and more descriptive language to previous chapters. Before long the writers block collided with the changes I was making and I was finding myself creating gaps faster than I was filling them. So instead of pushing into the second half of the month, I put the work down. Oh and at some point I realized I really disliked some of the main characters names: Enlil and Orten specifically. I literally picked the name Orten based on the NFL quarterback Kyle Orten. And with Enlil, I am not even sure how you would pronounce it. In Orten's case I have a new name picked out that I really like. In Enlil's case I am aiming to change up the history of his nation of Alb which will result in some pretty unique names (moving it more towards the naming conventions of the Native Americans). I still have plans to clean this story up. It's a story I didn't outline, but I have had the general plot in my mind for some time. It's a dark story, but a fun one in my opinion. And it's all aimed at a pretty climatic ending. I actually started on the story a while ago, but had only written a single chapter. Even though I failed to hit the full month word count, I feel like NaNoWriMo was still a useful experience for me. It did get me writing and it did force me to think about this story a bit more. Even if I don't finish this story I should still be able to use the lessons learned for future story writing. For anyone interested, here are all the posts tagged for my NaNoWriMo 2011 writing. It’s like the difference between presenting a nicely cooked steak on a plate and one that has been sliced for the guest to show a nicely cooked interior. It’s like the difference between presenting a nicely cooked steak on a plate and one that has been sliced for the guest to show a nicely cooked interior. It’s a steak either way, except one has let all the flavor run out.